Would you love a career in festivals? Do you dream of helping to curate the programme and booking your favourite acts, or perhaps even launching your very own boutique festival? 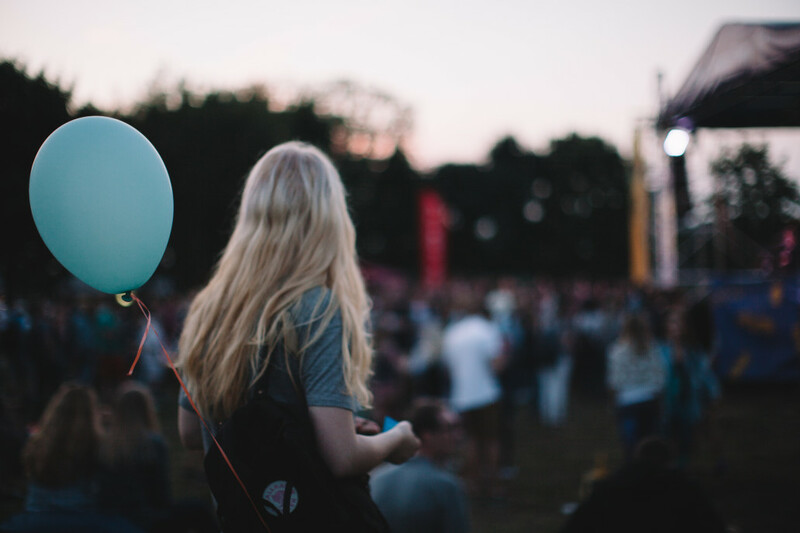 If you have aspirations of becoming a festival director, read on to discover how to get started, how to attain the right skills and experience and how to climb the career ladder. Jo Hedges is currently Brighton Fringe’s event manager and producer of their outdoor street festival Fringe City, producer of Women Centre Stage Festival and Festival Director for SouthWestFest, a two-week community arts and outdoor festival in Westminster, London. Her prior experience encompasses a huge range of festivals, from Big Chill and Womad to Boomtown Fair and Playgroup Festival. She shares how she stays busy as a successful freelancer – and you can too. How did you get started in events? “I did my degree in fine arts so it had nothing to do with events but within my degree I did organise exhibitions and multi art form events with my friends at university. I left university and didn’t have a clear mindset about becoming an events producer but I knew it was something I enjoyed doing. I bounced around a bit not really knowing what I wanted to do. I volunteered and put myself up for anything arty and creative. What kinds of opportunities are there for people volunteering at festivals? “Volunteering at festivals now is absolutely amazing. I was really lucky, I got involved with Nowhere, a volunteer-run and managed festival, which is a European Burning Man regional event in Zaragoza Spain. About 12 years ago I went along to the very beginnings of that event and got involved in running projects and activities and continued to volunteer and work for them for 10 years. I became their production lead and eventually I became an event director and also a board member of the organisation. That gave me huge amounts of experience. When I was much younger I volunteered at loads of local festivals like GuilFest, which is organised where I grew up in Guildford. Is it difficult to find full-time festival director roles? “It can be. I’m a freelancer and none of my roles currently are full-time. I work half the year round on SouthWestFest and I work part-time with Brighton Fringe June to December. I’m in the office one or two days a week and from January to May it ramps up to five days a week. With the other work I do, I often get 6-month contracts. I’ve just finished producing Women Centre Stage theatre festival and that was a six-month contract, however we are now looking to develop the festival further over the next two years. “It can be quite hard to find full-time roles in festivals in the arts sector, but there are full time jobs in the bigger core funded festivals, or in the larger corporate festivals, which have higher incomes and are able to employ people full-time. For smaller arty festivals you’ll get six months of funding from a funder like the Arts Council, so you’ll get a role for six months, or you’ll get a role for a year, but you might only work flexible hours or part time. Is it hard to make a living as a freelance festival director? “No, as long as you love what you do and you’re really dedicated to it. You need to drive your own career and projects forward. I went freelance a few years back and have gone from one job to another. It’s so much about putting yourself out there, networking and making yourself well skilled. I’ve gone out of my way to get training and skills for my CV because it makes me more employable. “I think there are great opportunities out there. There are fellowships and funding opportunities, so if you’ve got great ideas in between working for someone else you can go off and get funding to do your own project. “As well as working for arts companies and charities, every now and again I go off and work on bigger projects where I’m a smaller member of the team and they pay well. I’ll also do freelance days with corporate events companies – if you’re a freelancer that kind of work fills the gap. How long would you need to volunteer to gain the necessary skills and experience to get paid work? “No one should have to volunteer for months and months for free because at some point they’re going to gain experience and be a useful person in that project. Does the fact that the festival calendar is predominantly in summer mean work is quiet in the winter? “Working for Brighton Fringe, when we’re not producing the event in May we’re planning the next event. It’s that big that it is a year-round organisation. We squirrel away all winter long on developing and plans; getting everything ready. How difficult is it for people to start their own festival – do you need to have lots of experience? “A lot of the best festivals started from the brainy ideas of young people getting together and giving it a go. Looking at other festivals I’ve seen grow, and other festivals I’ve seen disappear, it’s sometimes a matter a luck and sometimes a matter of backing and funding. It’s quite hard for the first few years for festivals to get their feet under the table and build on their sponsorship and funding. My advice would definitely be start small rather than trying to do all the big ideas at once. It is competitive and it’s down to whether you as a festival are happy to do things like get corporate backing. Is it difficult to attain a festival director role? “For the SouthWestFest I applied for that position. The previous director had worked for them for 10 years and was leaving. I was told by the trustees that I got the job on the merits of my creative background and varied experience. I had the additional training and skills on my CV that as a small organisation they weren’t going to have to spend more money on. For example, as a freelancer, I’ve gone out and done my health and safety training, which is quite expensive, because I knew it would help certain elements of my CV. What responsibilities does an event director have? “Ensuring your event and the organisation is finically secure and sound, that your organisation policy is correct and you treat your staff and volunteers correctly. It’s having much more of an overview of your organisation and ensuring it runs well, as well as having a creative vision of the projects and programmes you’re going to do. If you want to be a festival director, the more experience you can gain the better, so put yourself out there. Volunteering and small assistant jobs across a variety of events can help you build the portfolio of skills you need to reach the top.